FLUCAD indicates FLU Vaccination Coronary Artery Disease; FLUVACS, FLU Vaccination Acute Coronary Syndromes. Square data markers represent risk ratios (RRs); horizontal lines, the 95% CIs with marker size reflecting the statistical weight of the study using random-effects meta-analysis. A diamond data marker represents the overall RR and 95% CI for the outcome of interest. Evaluated using the random-effects Mantel-Haenszel test. ACS indicates acute coronary syndrome; FLUCAD, FLU Vaccination Coronary Artery Disease; FLUVACS, FLU Vaccination Acute Coronary Syndromes. Square data markers represent risk ratios (RRs); horizontal lines, the 95% CIs with marker size reflecting the statistical weight of the study using random-effects meta-analysis. Diamond data markers represent each subgroup and overall RR and 95% CI for the outcome of interest. Evaluated using the random-effects Mantel-Haenszel test. FLUCAD indicates FLU Vaccination Coronary Artery Disease; FLUVACS, FLU Vaccination Acute Coronary Syndromes; IVCAD, Influenza Vaccine for Coronary Artery Disease. Square data markers represent risk ratios (RRs); horizontal lines, the 95% CIs with marker size reflecting the statistical weight of the study using random-effects meta-analysis. A diamond data marker represents the overall RR and 95% CI for the outcome of interest. Evaluated using the random-effects Mantel-Haenszel test. Rubin MA, Ford LC, Gonzales R. Pharyngitis, sinusitis, otitis, and other upper respiratory tract infections. In: Longo DL, Fauci AS, Kasper DL, Hauser SL, Jameson JL, Loscalzo J, eds. Harrison's Principles of Internal Medicine.18th ed. New York, NY: McGraw-Hill; 2012. Centers for Disease Control and Prevention. Manual for the surveillance of vaccine-preventable diseases. Atlanta, GA: Centers for Disease Control and Prevention; 2008. World Health Organization. Global atlas of infectious diseases. http://gamapserver.who.int/globalatlas/home.asp. Accessed September 19, 2013. Dolin R. Influenza. In: Longo DL, Fauci AS, Kasper DL, Hauser SL, Jameson JL, Loscalzo J, eds. Harrison's Principles of Internal Medicine.18th ed. New York, NY: McGraw-Hill; 2012. Centers for Disease Control and Prevention. 2012-2013 Influenza Season Week 38 ending September 21, 2013. http://www.cdc.gov/flu/weekly/. Accessed September 28, 2013. Importance Among nontraditional cardiovascular risk factors, recent influenzalike infection is associated with fatal and nonfatal atherothrombotic events. Objectives To determine if influenza vaccination is associated with prevention of cardiovascular events. Data Sources and Study Selection A systematic review and meta-analysis of MEDLINE (1946-August 2013), EMBASE (1947-August 2013), and the Cochrane Library Central Register of Controlled Trials (inception-August 2013) for randomized clinical trials (RCTs) comparing influenza vaccine vs placebo or control in patients at high risk of cardiovascular disease, reporting cardiovascular outcomes either as efficacy or safety events. Data Extraction and Synthesis Two investigators extracted data independently on trial design, baseline characteristics, outcomes, and safety events from published manuscripts and unpublished supplemental data. High-quality studies were considered those that described an appropriate method of randomization, allocation concealment, blinding, and completeness of follow-up. Among nontraditional cardiovascular risk factors, there remains interest in a potential association between respiratory tract infections, of which influenza and influenzalike illnesses are common causes,1,2 and subsequent cardiovascular events.3-9 Prior studies suggest that seasonal influenzalike illnesses may explain a major determinant of the timing of acute thrombotic vascular events in patients with previously stable coronary artery disease (CAD) and cerebrovascular disease.3 Further supporting this hypothesis, several epidemiological studies have suggested a strong inverse longitudinal relationship between influenza vaccination and the risk of fatal and nonfatal cardiovascular events.4,10-19 A few small randomized clinical trials (RCTs) have explicitly tested whether influenza vaccination may reduce the risk of cardiovascular events with large treatment effects.20-24 Based largely on observational findings, medical association guidelines recommend universal vaccination in patients with, or at risk of, cardiovascular disease for protection from general influenza complications.25-27 Cardiovascular associations specifically recommended influenza vaccination for the secondary prevention of ischemic heart disease in 2006 based on the earliest reported RCT.28-31 Because of the potential for confounding in an observational study of this subject32-34 and because prior meta-analyses included observational studies but omitted a systematic review of all influenza vaccination randomized trials,7,35,36 we set out to perform a systematic review and meta-analysis of all randomized clinical trials of influenza vaccine that studied cardiovascular events as efficacy or safety outcomes. A systematic literature search of Ovid MEDLINE (1946-August 2013), EMBASE (1947-August 2013), and the Cochrane Library Central Register of Controlled Trials (inception through August 2013) was conducted to identify all published randomized clinical trials involving humans and comparing influenza vaccination with placebo or standard care. The search used key terms including influenza, influenza vaccine, and cardiovascular (eMethods in the Supplement). The search was not restricted to any language. We subsequently searched and evaluated all reference lists of eligible articles, online resources such as cardiovascular and infectious disease conference abstracts from 2000 to 2013, and clinicaltrials.gov to ensure identification of all published and unpublished studies. The primary end point of this analysis was a composite of major adverse cardiovascular events (ie, cardiovascular death or hospitalization for myocardial infarction, unstable angina, stroke, heart failure, or urgent coronary revascularization). The justification to select this composite primary end point was because eligible trials included such events as either a composite primary or secondary end point (efficacy trial) or as part of severe adverse event monitoring (safety trial) in each study (eTable 2 in the Supplement). If a composite end point was indeterminable, fatal and nonfatal myocardial infarction and stroke events were used. The secondary end point was cardiovascular mortality and other individual cardiovascular events. All events occurring within 12 months of follow-up were included. We applied the following screening criteria to determine qualitative eligibility: randomized clinical trials of adults comparing experimental or commercially approved influenza vaccinations with either placebo, control, or a strategy of more intense vs standard vaccination; short-term efficacy (duration of follow-up, 28 days to 1 year); and a sample size of at least 50 patients. A strategy of a more intense vaccination included comparisons between standard-dose intramuscular vaccines with either a higher dose or higher concentration of intramuscular vaccine, a booster of standard vaccine among poor seroresponders, experimental virosomal vaccine with higher antigenicity, or concomitant intranasal vaccine vs similar placebo (eMethods in the Supplement). The methodological quality of each trial was evaluated for risk of bias using standard criteria: method of randomization; allocation concealment; patient, investigator, and outcome assessor blinding; selective outcome reporting; incomplete outcome ascertainment; and other potential sources of bias as recommended by the Cochrane Collaboration.39 Studies were categorized (Table) as high quality if at least the first 3 criteria were clearly described and accounted for, as low quality if any aspect of the first 3 criteria was unaccounted for, or as otherwise of uncertain risk of material bias. An alternative quality score for evaluating RCTs49 was also applied with a score of 3 or greater indicative of high quality (Table). Data from each trial were entered on an intention-to-treat basis according to the recommendations of the Cochrane Collaboration and the Preferred Reporting Items for Systematic Reviews and Meta-Analyses (PRISMA) statement.50 Baseline characteristics were summarized, and weighted means and rates according to individual trial sample size were reported. Trials were compared with risk ratios (RRs) as the measure of effect, because accurate time-to-event data were not available in all trials. Summary RRs and 95% CIs were calculated using a random-effects model for combining results across studies, which incorporates between- and within-study variance. A random-effects model was selected because heterogeneity among patient characteristics and vaccination efficacy would unlikely result in a similar treatment effect across trials.51 If an outcome of interest achieved pooled statistical significance, then the number needed to treat (NNT) and its 95% CI to avoid 1 event was derived from the inverse of the pooled estimated absolute-risk difference and SE. Primary analyses focused on published trials comparing influenza vaccination with either placebo or control. When data were available, analyses were further stratified by patients with and without recent acute coronary syndrome (ACS) within 1 year of randomization. We focused on such patients because of the seemingly greater effect size seen in the randomized trials and the pathobiology in which a greater effect might be anticipated in these patients with more active coronary disease. Secondary analyses included published and unpublished trials. We further analyzed trials of more intense vs standard influenza vaccination to explore the consistency of association of more immune activation against influenza with cardiovascular risk. Two-sided P values were calculated with a P value less than .05 considered significant for all tests. Statistical analyses were performed with Review Manager (RevMan; Cochrane Collaboration), version 5.2.3. We screened 2189 articles for eligibility and identified 71 potentially relevant studies for further review. After excluding 59 studies, a total of 12 RCTs met our inclusion criteria for final meta-analysis (Figure 1).21,23,24,40-48 Among the 6 placebo or control RCTs, 1753 patients were randomly assigned to receive 1 intramuscular injection of standard influenza vaccination, 1620 to receive a live, intranasal attenuated vaccine, 1375 to receive intramuscular placebo, 1622 to receive intranasal placebo, and 365 to receive no treatment. Five trials were previously published,21,23,24,41,42 and 1 trial is unpublished.40 These trials were included in the final meta-analysis of influenza vaccine vs placebo or control and their characteristics are summarized in the Table. Overall, 6735 participants (mean age, 67 years; 51.3% women; 36.2% with a cardiac history) were followed up for a mean duration of 7.9 months. An additional 6 trials comprising 16 857 patients (mean age, 72 years; 55.8% women; 30.2% with cardiac history) randomized to various strategies of experimental (n = 6179) vs standard (n = 10 678) influenza vaccination for a mean duration of 6.9 months are described in the Table. Among the 12 trials, 5 were conducted with rigorous randomization, allocation concealment, and double-blinding that met the Cochrane criteria for high quality (low risk of bias; Table and eFigure 1 in the Supplement). Allowing inclusion of single-blinded designs resulted in 4 more trials graded as high quality (eTable 3 in the Supplement). The remaining studies were considered low or uncertain quality. Definitions of cardiovascular outcomes were reported or provided by each efficacy trial, followed standardized cardiovascular guideline diagnostic criteria, and were generally comparable across trials. Outcome assessment varied by frequency, type of follow-up (including telephone, hospital or clinic, and home visit contact), and adjudication across trials. For the 5 published RCTs comparing influenza vaccine with placebo or control, individual and pooled RRs for composite cardiovascular events are provided in Figure 2. Among the 3238 patients treated with influenza vaccine, 95 patients (2.9%) developed a major adverse cardiovascular event compared with 151 of the 3231 patients (4.7%) treated with placebo or control within 1 year of follow-up (RR, 0.64 [95% CI, 0.48-0.86]; P = .003; I2 = 28%; Figure 2). This association represented an absolute risk difference of 1.74% (95% CI, 0.81%-2.67%; P = .003) or an NNT of 58 (95% CI, 38-124) to prevent 1 major adverse cardiovascular event. The addition of the unpublished data did not materially change the results (2.9% influenza vaccine vs 4.6% placebo or control; RR, 0.64 [95% CI, 0.49-0.84]; P = .001; eFigure 2 in the Supplement). In a subgroup analysis of 3 RCTs of patients with CAD, there was a significant interaction between the association of influenza vaccine and cardiovascular risk among patient cohorts with and without recent ACS (P for interaction = .02; Figure 3). Influenza vaccine was particularly associated with a lower risk of major adverse cardiovascular events among patients with a history of recent ACS (10.25% influenza vaccine vs 23.1% placebo or control; RR, 0.45 [95% CI, 0.32-0.63]; P < .001; I2 = 0%) than patients with stable CAD (6.9% influenza vaccine vs 7.4% placebo or control; RR, 0.94 [95% CI, 0.55-1.61]; P = .81; I2 = 0%). Among the 789 patients with a history of recent ACS, the absolute-risk difference of influenza vaccine vs placebo or control was 12.9% (95% CI, 7.75%-18.0%; P < .001) or an NNT of 8 (95% CI, 6-13) to prevent 1 cardiovascular event. Results were similar with the addition of unpublished data (P for interaction = .03; eFigure 3 in the Supplement). In the 5 published RCTs comparing influenza vaccine with placebo or control that recorded fatal cardiovascular events, 42 of 3238 patients (1.3%) died of cardiovascular causes within 1 year of being treated with influenza vaccine compared with 55 of 3231 patients (1.7%) treated with placebo or control (RR, 0.81 [95% CI, 0.36-1.83]; P = .61; I2 = 68%; Figure 4). Subgroup analysis in trials in which data were available demonstrated no significant interaction with a recent history of ACS (2.5% influenza vaccine vs 8.4% placebo or control; RR, 0.34 [95% CI, 0.13-0.85]) compared with patients with stable CAD (2.1% influenza vaccine vs 2.3% placebo or control; RR, 0.90 [95% CI, 0.31-2.59]; P for interaction = .17; eFigure 4 in the Supplement). Results were similar with the addition of unpublished data for cardiovascular mortality overall (eFigure 5 in the Supplement) and by history of ACS (eFigure 6 in the Supplement). The majority of deaths observed across all 6 trials (including published and unpublished data) were considered due to a cardiovascular cause. Consequently, results were similar when influenza vaccine was compared with placebo or control for all-cause mortality (1.9% influenza vaccine vs 2.1% placebo or control; RR, 0.85 [95% CI, 0.45-1.61]; P = .62; I2 = 61%; eFigure 7 in the Supplement). Individual nonfatal cardiovascular events, including myocardial infarction, stroke, heart failure, hospitalization for unstable angina or cardiac ischemia, and urgent coronary revascularization occurred infrequently and were not universally recorded across all 6 trials. None of these individual nonfatal cardiovascular events were statistically significant (eFigures 8-12 in the Supplement). In the 6 active control trials, 42 of 10 678 patients (0.39%) developed a major adverse cardiovascular event with more potent vaccine compared with 37 of 6179 patients (0.60%) treated with standard vaccine (RR, 0.72 [95% CI, 0.42-1.13]; P = .16; I2 = 0%; eFigure 13 in the Supplement). No significant heterogeneity was detected for either the primary or any secondary end points. Visual inspection of funnel plots suggested no evidence of publication bias (eFigures 14-16 in the Supplement). Results for the primary end point were similar when analyses were compared with fixed-effects or Yusuf-Peto models and remained significant after removal of any trial from the pooled result (eTable 4 in the Supplement). In addition, there was no significant difference in the cardiovascular risk associated with influenza vaccine among other subgroups, level of influenza activity, or duration of follow-up (all P for interaction values ≥.14), except for the comparison of trials recording efficacy or safety events (P for interaction = .03; eTable 5 in the Supplement). In our meta-analysis of 6735 patients with varying degrees of cardiovascular risk, influenza vaccination was associated with a significantly lower risk of major adverse cardiovascular events. The risk associated with influenza vaccination was robust, with a greater association seen among patients with recent ACS compared with patients with stable CAD. 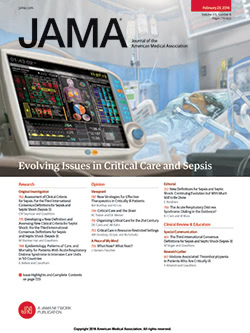 Although acute influenza infection is an independent risk factor for fatal and nonfatal cardiovascular events, the mechanism underlying that risk is less clear, but may relate to triggering the rupture of a vulnerable atherosclerotic plaque, fluid overload heart failure, myocarditis, arrhythmia, or the susceptibility of a frail and vulnerable patient.4,7,9,57,58 Several observational studies support a potential association between the proximity of an acute respiratory infection and an increased risk of acute cardiac and cerebrovascular events.3,4,8,15 Whether influenza vaccination can prevent these events remains controversial.59 As we reviewed the literature, there appeared to be a considerable amount of evidence supporting an association between influenza vaccination and a lower risk of major clinical outcomes, such as cardiovascular mortality or nonfatal cardiovascular events, based on case-control, case-series, cohort studies, and limited prior reviews of RCTs with inherent potential for confounding and bias.4,7,10-19,32-36 This may explain in part why less than a third of the general population in North America and less than half of high-risk patients annually consent to influenza vaccination.60-64 Nevertheless, influenza is one of the most common, contagious, and morbid respiratory infections with a seasonal pattern of affliction during winter climate.19,65 Several seasonal influenza vaccines are manufactured annually and universally provided with the dual goal of decreasing viral transmission and preventing influenza-related morbidity and mortality.27,64 If severe influenza-associated morbidity and mortality is in part due to acutely triggered ischemic cardiovascular events, and a vaccine preventing influenza could decrease the risk of cardiovascular events, then this therapy could address a sizable component of residual cardiovascular risk not addressed by current therapy and provide yearlong coverage through 1 simple inoculation. Several other RCTs of influenza vaccination recorded cardiovascular events as part of a safety evaluation throughout the past 20 years. However, in these trials it is likely that both the relative lower proportion of participants studied with acute coronary disease and the potential for selective outcome ascertainment of cardiovascular events contributed to why these studies added relatively few cardiovascular events to our analysis.41-48 Still, despite differences in trial designs, risk of bias, sample size, cardiovascular risk of participants, circulating influenza activity, vaccination strategy, duration of follow-up, and number of observed events, our meta-analysis demonstrated a consistent association between influenza vaccination and a lower risk of cardiovascular events. Overall, our findings are based on a relatively small number of cardiovascular events (246 major adverse cardiovascular events and 97 cardiovascular deaths) among trials that varied in study design, intended primary outcomes, and patient populations. Subsequently, individual outcome analyses were of limited power. Moreover, several studies have design concerns regarding bias from inadequate randomization, concealment, and end point adjudication, which may limit our interpretation of the association of influenza vaccination with a lower risk of cardiovascular events.35 For instance, a significant difference in the cardiovascular risk associated with influenza vaccine compared with placebo was detected among the subgroup of trials recording events as primary (efficacy) compared with secondary (safety) end points. This finding could suggest heterogeneity in outcome ascertainment between trials; however, it should be considered in context of multiple testing and chance of type I error. In addition, events such as unstable angina, cardiac ischemia, and coronary revascularization events included in a composite primary end point with myocardial infarction or cardiovascular death may not represent equal weighting of cardiovascular morbidity. Finally, our meta-analysis comprised a mix of both primary and secondary prevention populations, challenging our ability to distinguish the association of influenza vaccine with lower cardiovascular risk in each group. The strengths of the current study include efforts to identify and systematically review all influenza vaccine RCTs since the inception of major biomedical literature databases, thereby limiting the likelihood of publication bias and risk of confounding from nonrandomized studies. In addition, we performed a number of sensitivity analyses that revealed no suggestion of inconsistency among trial results or missing data confirming the robustness of our primary results. In fact, funnel plots suggest potential small trials of cardiovascular benefit may remain unpublished. Within this global meta-analysis of RCTs that studied patients with high cardiovascular risk, influenza vaccination was associated with a lower risk of major adverse cardiovascular events within 1 year. Influenza vaccination was particularly associated with cardiovascular prevention in patients with recent ACS. Future research with an adequately powered multicenter trial to confirm the efficacy of this low-cost, annual, safe, easily administered, and well-tolerated therapy to reduce cardiovascular risk beyond current therapies is warranted. Corresponding Author: Jacob A. Udell, MD, MPH, FRCPC, Women’s College Research Institute, Women’s College Hospital, University of Toronto, 76 Grenville St, Toronto, ON M5S-1B1, Canada (jay.udell@utoronto.ca). Author Contributions: Dr Udell had full access to all of the data in the study and takes responsibility for the integrity of the data and the accuracy of the data analysis. Study concept and design: Udell, Bhatt, Farkouh, Cannon. Acquisition of data: Udell, Zawi, Keshtkar-Jahromi, Gaughran, Phrommintikul, Ciszewski, Vakili. Analysis and interpretation of data: Udell, Bhatt, Keshtkar-Jahromi, Ciszewski, Vakili, Hoffman, Farkouh, Cannon. Drafting of the manuscript: Udell. Statistical analysis: Udell, Keshtkar-Jahromi, Ciszewski, Vakili, Hoffman. Administrative, technical, or material support: Udell, Zawi, Gaughran, Cannon. Conflict of Interest Disclosures: All authors have completed and submitted the ICMJE Form for Disclosure of Potential Conflicts of Interest. Dr Bhatt reports serving on the advisory board for Elsevier Practice Update Cardiology, Medscape Cardiology, and Regado Biosciences; serving on the board of directors for Boston VA Research Institute and the Society of Cardiovascular Patient Care; serving as chair for the American Heart Association Get With The Guidelines steering committee; receiving honoraria from the American College of Cardiology, Belvoir Publications, Duke Clinical Research Institute, Population Health Research Institute, Slack Publications, and WebMD; serving as a senior associate editor for the Journal of Invasive Cardiology; serving on data monitoring committees for Duke Clinical Research Institute, Harvard Clinical Research Institute, Mayo Clinic, and the Population Health Research Institute; receiving grant funding from Amarin, AstraZeneca, Bristol-Myers Squibb, Eisai, Ethicon, Medtronic, sanofi-aventis, and The Medicines Company; and conducting research for FlowCo, PLx Pharma, and Takeda. Dr Gaughran reports receiving grant funding from Guys and St Thomas’ Charitable Trustees and Abbott; receiving honoraria from various pharmaceutical companies for advisory, consultation or lecturing work in the field of mental health, including Bristol-Myers Squibb, Lundbeck, Roche, and Sunovion; and having a family member with professional affiliations to Eli Lilly and GlaxoSmithKline. Dr Vakili reports receiving grant funding from Shahid Beheshti University. Dr Farkouh reports consulting for AstraZeneca, Eli Lilly, Pfizer, sanofi-aventis; and receiving grant funding from Merck. Dr Cannon reports serving on a data safety and monitoring board for a trial sponsored by Merck; consulting for Alnylam, Bristol-Myers Squibb, CSL Behring, Lipimedix, and Pfizer; serving as clinical advisor and equity shareholder for Automedics Medical Systems; receiving grant funding from Accumetrics, AstraZeneca, Essentialis, GlaxoSmithKline, Merck, Regeneron, sanofi-aventis, and Takeda; and receiving reimbursement for travel accommodations from AstraZeneca, GlaxoSmithKline, Merck, Regeneron, sanofi-aventis, and Takeda. No other disclosures were reported. Funding/Sponsor: Dr Udell is supported by a Canadian Institutes for Health Research and Canadian Foundation for Women’s Health postdoctoral research fellowship award. Role of the Sponsor: The Canadian Institutes for Health Research and the Canadian Foundation for Women’s Health had no role in the design and conduct of the study; collection, management, analysis, and interpretation of the data; preparation, review, or approval of the manuscript; and decision to submit the manuscript for publication. Additional Contributions: We thank Mona Frantzke, MLSc (Health Sciences Library, Women’s College Hospital), for providing assistance in the literature search; Jos Nauta, MSc (Abbott), for providing unpublished data from the trial by de Bruijn et al; Carlos A. DiazGranados, MD, MSc (Sanofi Pasteur), for providing unpublished data from the trials by Falsey et al and DiazGranados et al; Rob Lambkin-Williams, PhD (Retroscreen Virology), for providing unpublished data from the FEVER trial; and Herve Caspard, MD, ScD (MedImmune), and Bruce D. Forrest, MD, MBA (B D Forrest & Company), for providing unpublished data from the trials by De Villiers et al and Forrest et al. No compensation was received by any individual for assistance with this study.